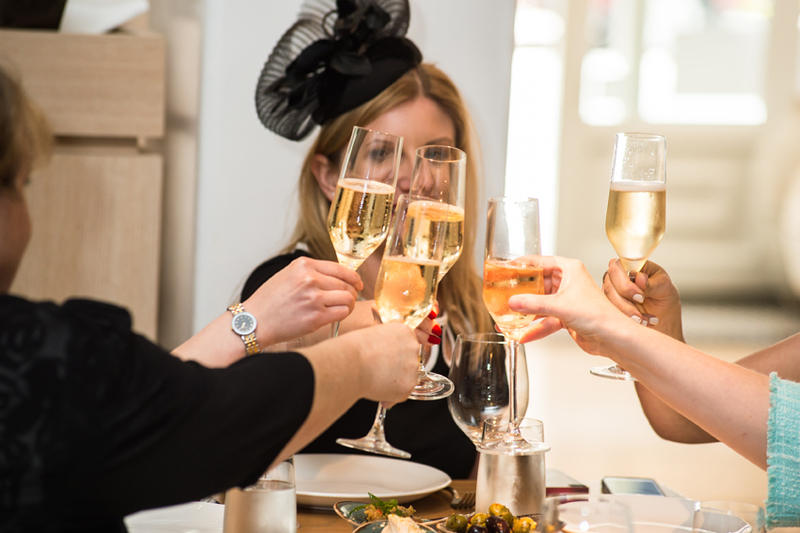 Alpha will celebrate Melbourne Cup with a set menu lunch and bubbles on arrival. The newly-formed Hellenic Youth Club Sydney (HYCS) invites you to its launch party at Beta Bar and Gallery on Wednesday September 28. 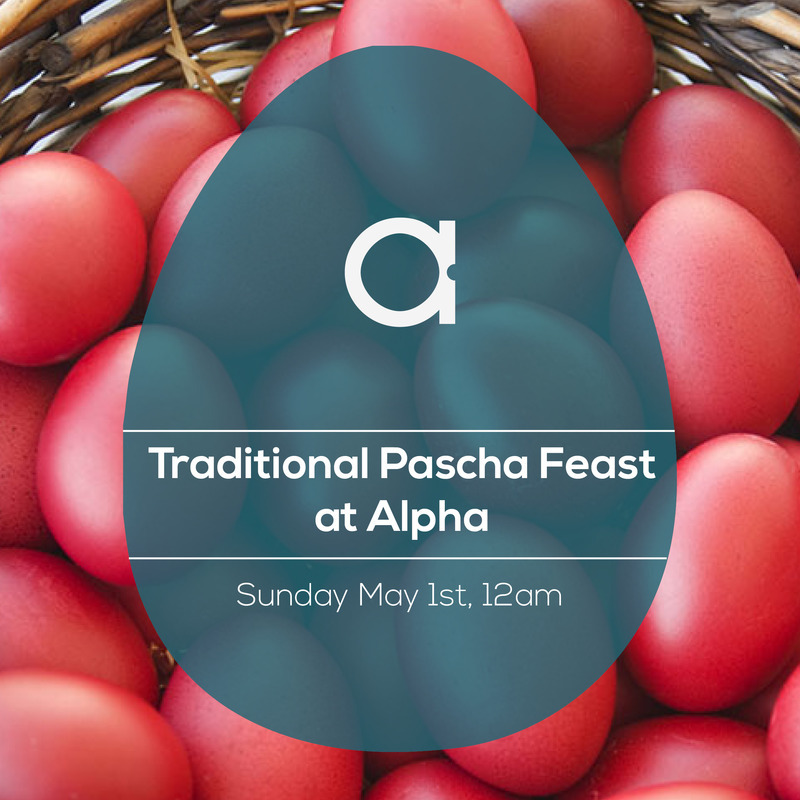 Alpha is celebrating Greek Orthodox Easter ("Pascha") with a traditional midnight super on Sunday, May 1st. 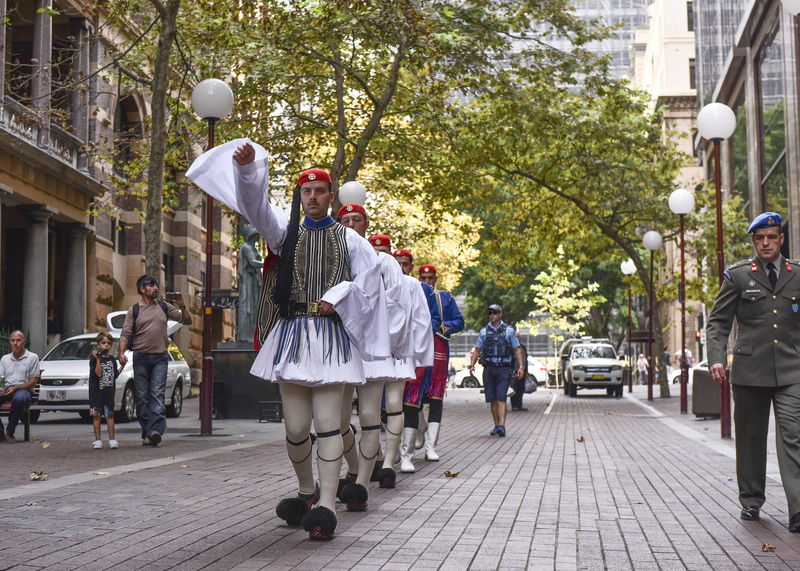 Six members of the Greek Presidential Guard are visiting Sydney to mark the 75th Anniversary of the Battle of Crete. 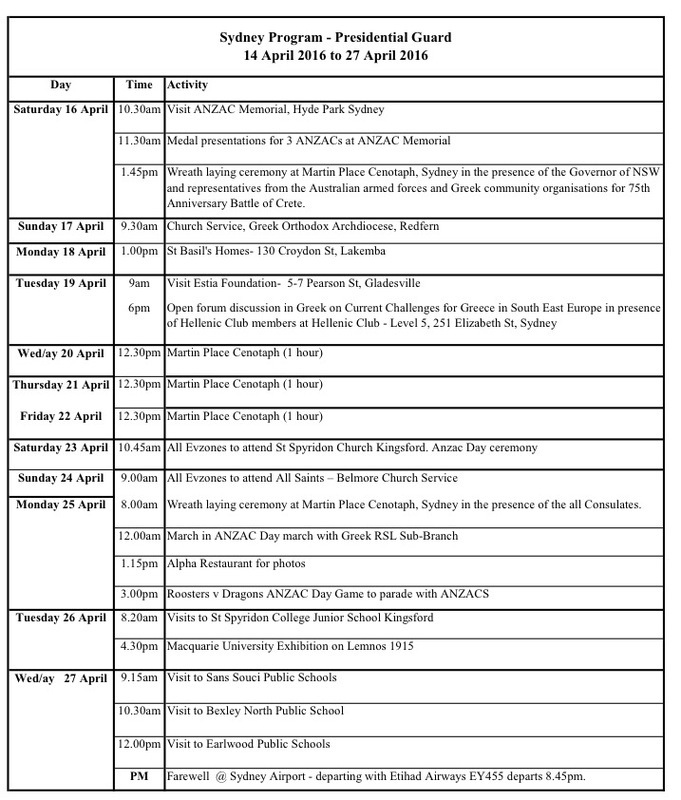 The guards will be appearing at a number of events over the course of the week, including a daily changing of the guard at the Martin Place Cenotaph on Wednesday, Thursday and Friday. 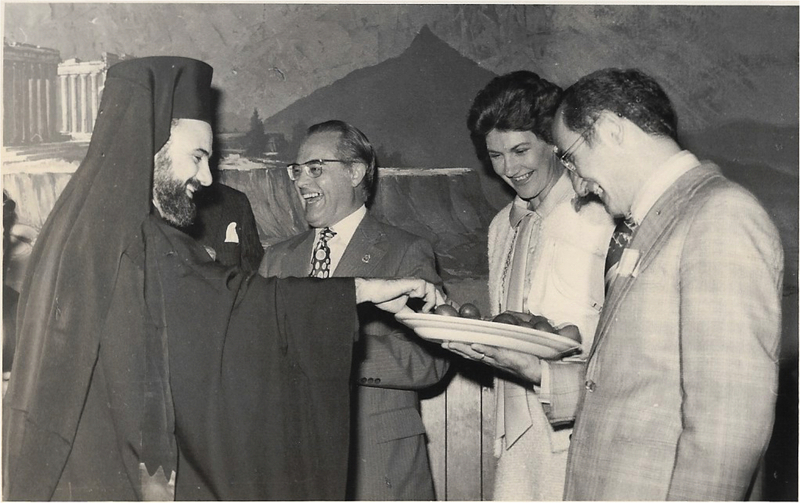 Join the Hellenic Business Network Association on Monday 14th March to celebrate Kathara Deftera. Join Alpha this February 14 for a four-course Greek feast. Together with Alpha Restaurant, The Hellenic Club has partnered with St. George OpenAir Cinema to bring the classic Greek film to Sydney. Celebrate the race that stops the nation with The Hellenic Club and Alpha Restaurant. 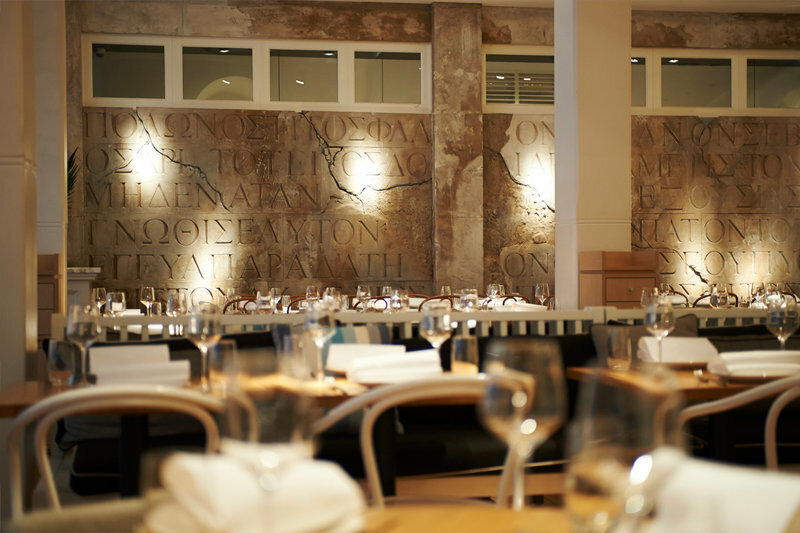 Alpha Restaurant is celebrating all things Hellenic with the release of George Calombaris's new book, Greek. Join the Hellenic Club at Alpha Restaurant for a complimentary lunch every Thursday at 2pm. The Hellenic Restaurant is pleased to announce their new Saturday Night Live Entertainment evenings. On Thursday September 10, UTS Hellenic Society and The Hellenic Club are invited to mingle over cheese and wine at Hellenic House. 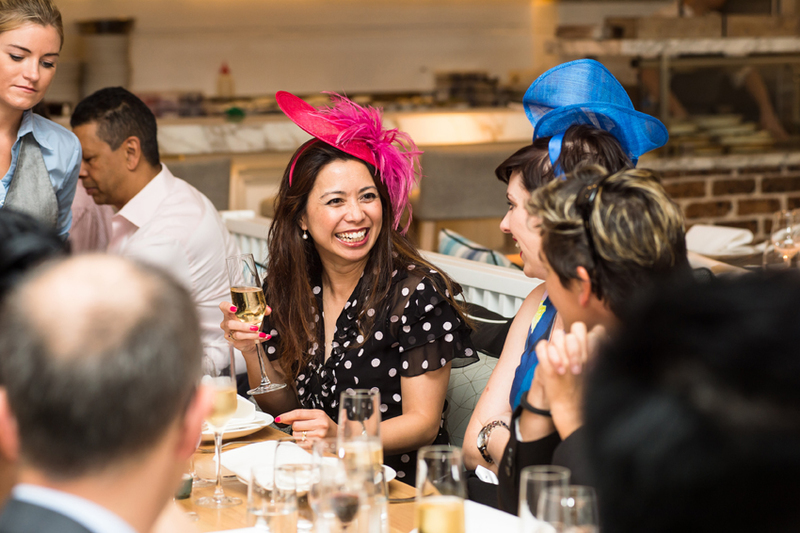 Alpha Restaurant is a sure bet this Melbourne Cup with a set menu lunch for $99 per person and a glass of bubbles on arrival. 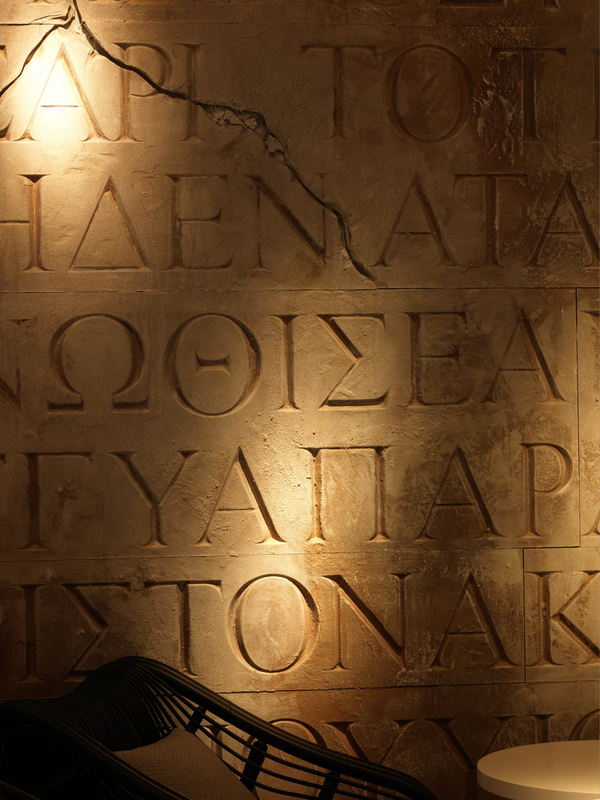 Enjoy a four-course Greek feast on November 1st with all the action broadcast live. Join the HYCS as they celebrate their launch at one of Sydney's hottest bars, Beta Bar and Gallery. Please note the HYCS membership is only available to persons between the age of 18 and 30. Anyone over 30 is welcome to purchase full membership to the Hellenic Club Pty Ltd. Details on obtaining full membership can be found on the Hellenic Club website. For further membership enquiries, pelase email HYCS. 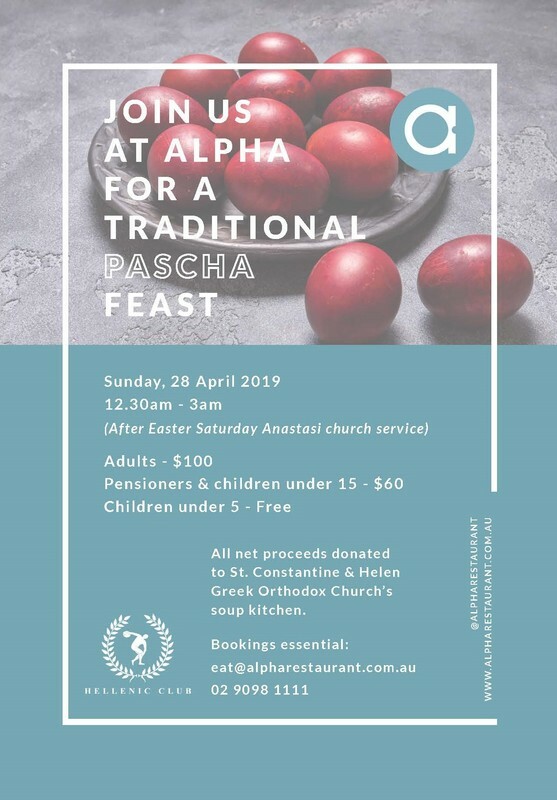 Alpha is celebrating Pascha with a traditional midnight supper on Sunday, May 1st, after Easter Saturday Anastasi church service. 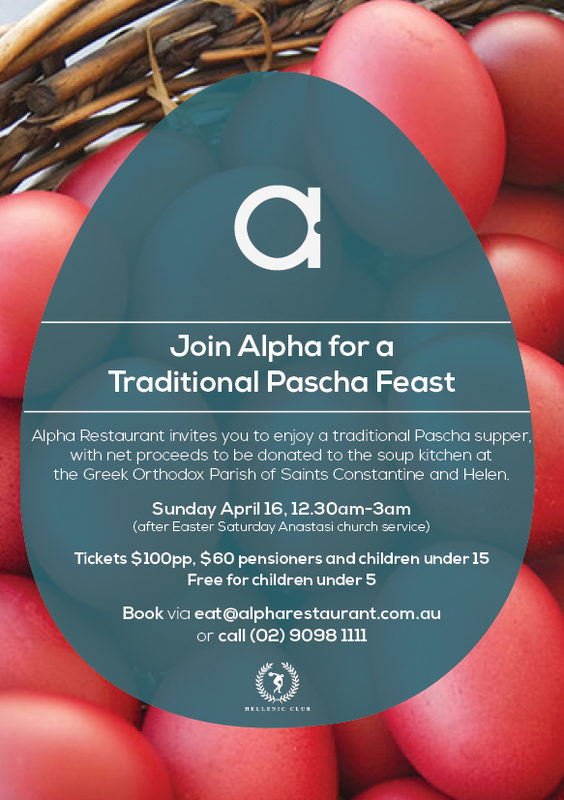 Join Alpha for an authentic Pascha set menu including mageiritsa, roast chicken avgolemono, kokoretsi, tsoureki, red eggs and koulourakia. 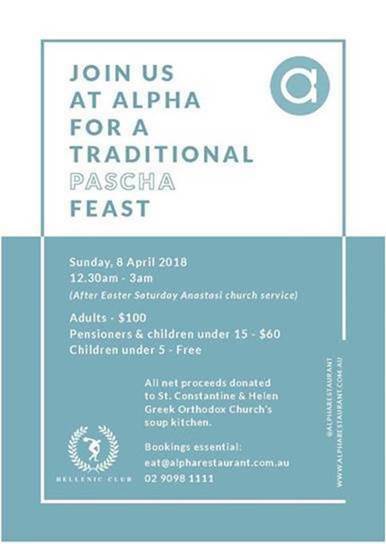 Net proceeds from the event will be donated to the Greek Orthodox Parish of Saints Constantine and Helen, Newtown, to support its soup kitchen. Held from 12am-3am, tickets are priced at $90 per person, $50 for pensioners and children under 18, while children under 5 eat free. 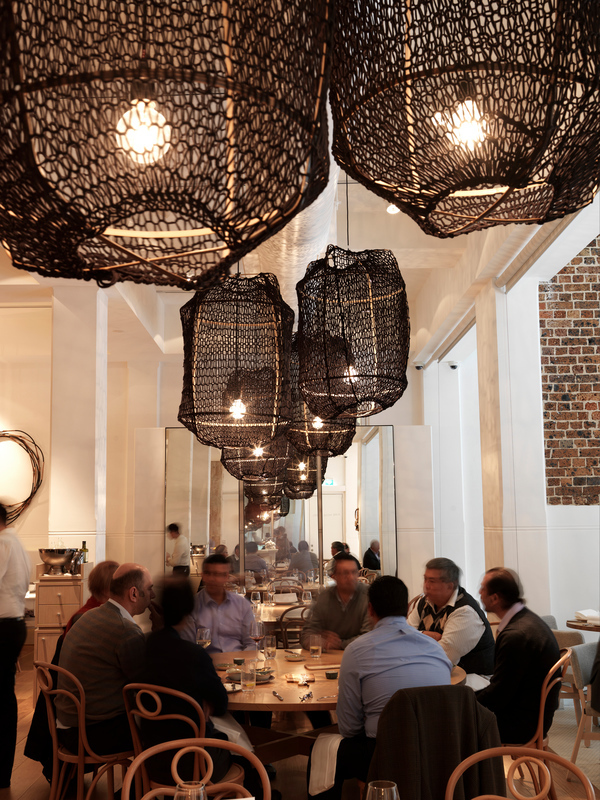 To book, email eat@alpharestaurant.com.au or call (02) 9098 1111. The 75th anniversary of the Battle of Crete, one of the key conflicts of the Second World War, has been chosen by the Australian Government as one of the significant anniversaries to be commemorated during the ANZAC centenary period. 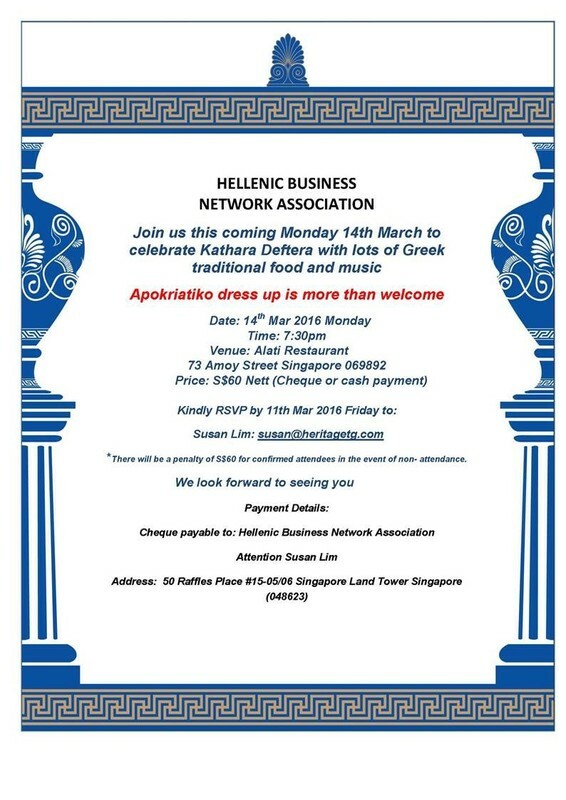 Celebrating Kathara Deftera, the Hellenic Business Network Association will host a dinner at Alati Restaurant, Singapore on Monday March 14th. 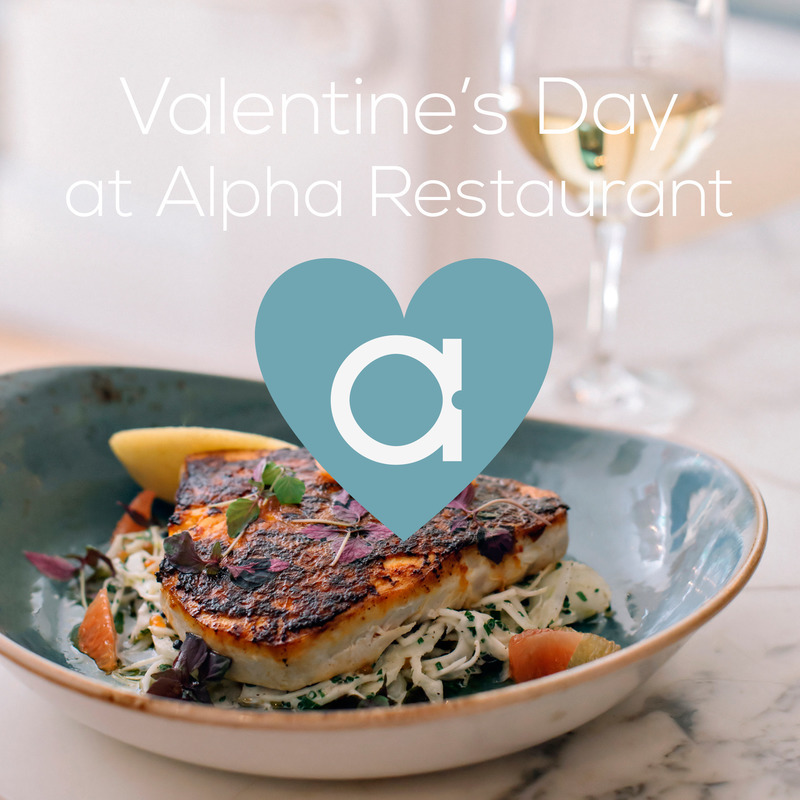 Join Alpha with a Valentine's Day lunch and dinner set menu. Enjoy sparkling wine on arrival, and Alpha's signature dishes with your loved one. Tickets are priced at $89 per person or $129 per person with matching wines. 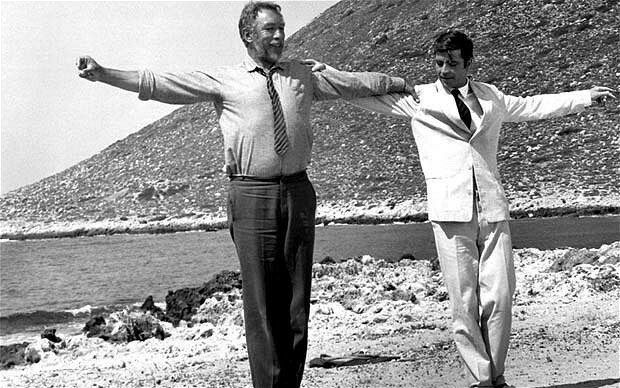 Airing on Friday January 29th at 8:30pm, the cinema classic Zorba the Greek will be viewed under the stars at this year's St. George OpenAir Cinema at Mrs Macquaries Point. Gates open at 6:30pm, and with a live Greek band and a selection of food from Alpha Restaurant, the evening is not to be missed! Tickets can be purchase via Ticketek. The Hellenic Club and Alpha Restaurant are celebrating Melbourne Cup Day with Greek feasts and all the action live on screen. Club members can join the Hellenic Club at 3:30pm in the Member's area to watch the race, followed by a lunch spread from The Hellenic Restaurant provided by The Hellenic Club. From 12pm - 4pm, join Alpha Restaurant as they celebrate the race that stops the nation with a four-course Greek feast and glass of NV Duval Champagne on arrival for $89 per person, or enjoy matching wines for $129 per person for a dose of liquid luck. 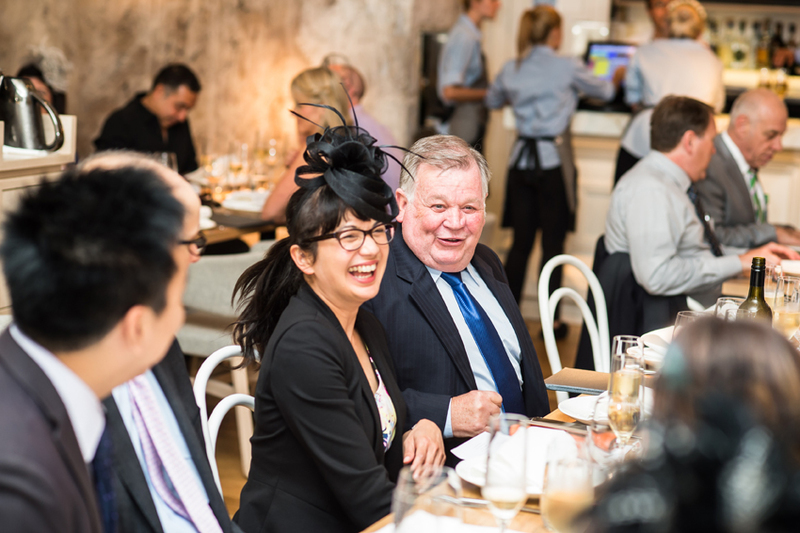 Bookings for Alpha's Cup Day lunch are essential, email eat@alpharestaurant.com.au or call(02) 9098 1111 to book. 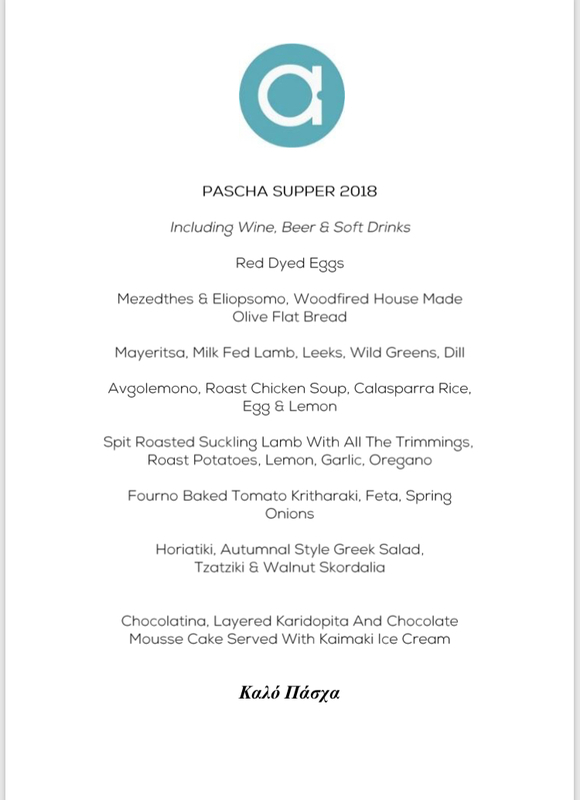 On Monday October 26, 6:30pm, enjoy the Masterchef star's Greek-inspired menu with taramasalata flavoured popcorn, whipped fetta, heirloom carrot salad and kataifi prawns. 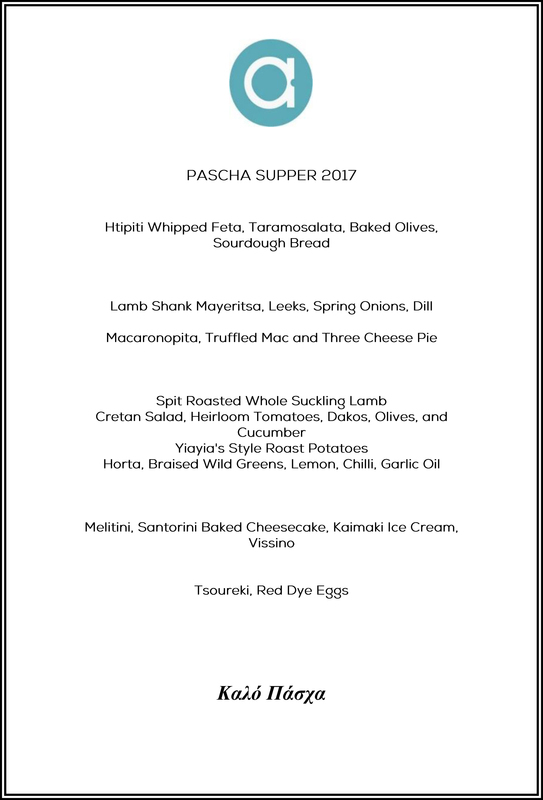 Tickets are $175 per person including all food, drink, and a copy of Greek. For a chance to meet Calombaris himself, head to sydney.goodfoodmonth.com/greek to book. 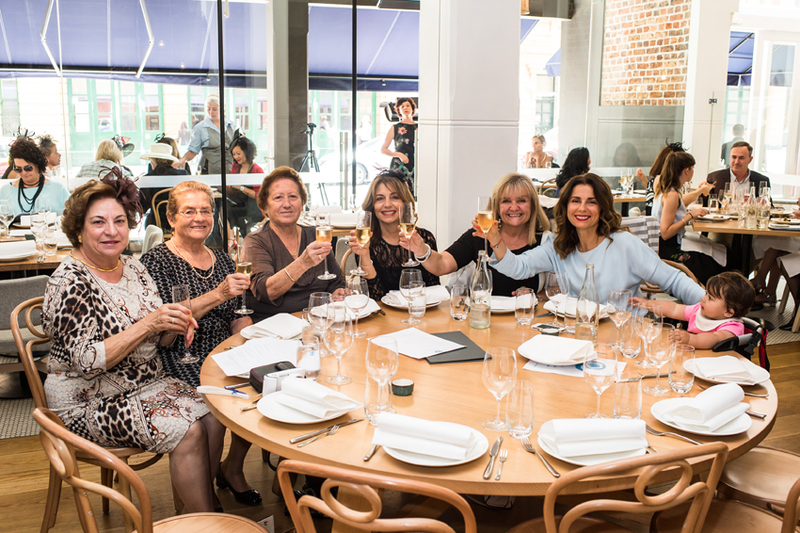 Hosted at Alpha Restaurant each Thursday from 2pm, Members of The Hellenic Club can enjoy the restaurant's signature traditional Greek fare. 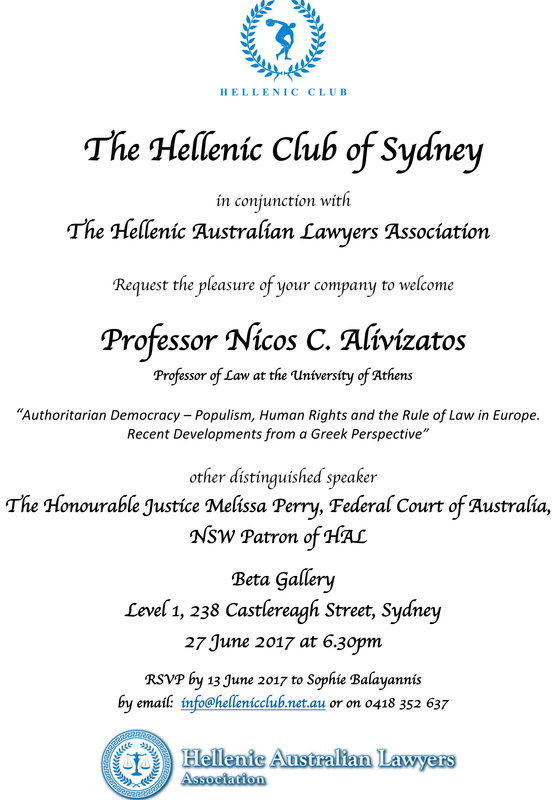 For further enquiries, email info@hellenicclub.net.au or call (02) 9264 5792. The night kicks off at 6.30pm until late. Cost per person $50 inclusive of live show and delicious menu. Celebrating the collaboration between UTS Hellenic and The Hellenic Club, guests of both clubs will mingle at the exclusive Wine and Cheese Night. 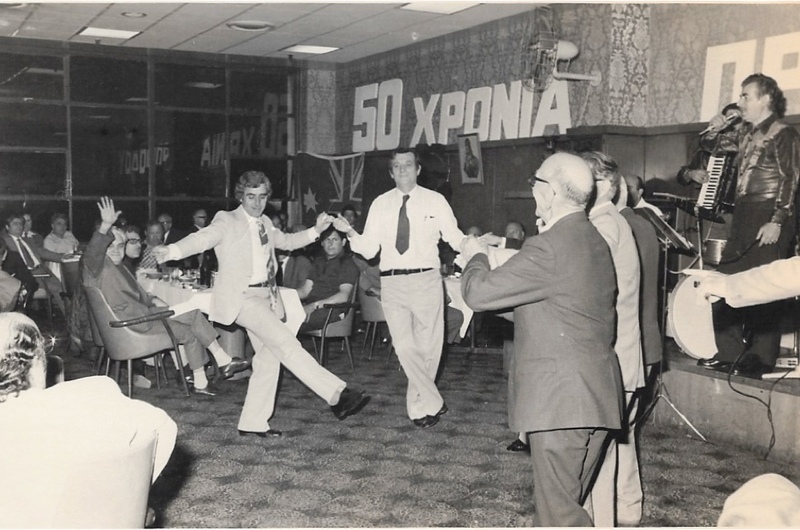 Hosted on Level 5 of Hellenic House, the event will celebrate the partnership between the clubs, who have worked closely over the year to strengthen ties amongst Greek-Australian youth in Sydney.